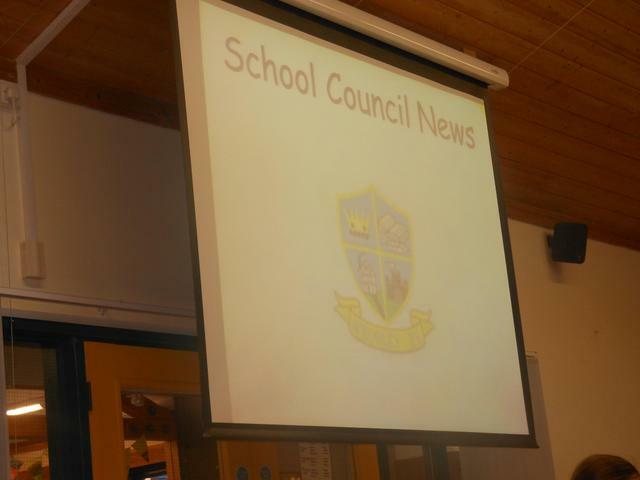 The School council are a very important group within our school. They meet every week and discuss ways to make our school even better than it is already. We wanted to name the Attendance Bear, so we asked the whole school to make suggestions. After lots of names being suggested, the Attendance Bear has been named Webster. If the children have any suggestions, they place a message in The Big Yellow Box in the Library. With British Values in mind every child was invited to be a School Council member. They put their name forward to their class and said why they wanted to be a member and also shared their thoughts of how to make Weobley Primary even better. Each class then held a secret vote, where they had to choose two children who would represent their class. A request was made that each class discuss a fund raising event. The money raised by each class would be used for a trip or reward for that class. After each event the class would discuss how to use the profits that they made. Class 6 discussed a variety of fund raising activities but finally decided on a movie evening. Then the Year 6 School Council delivered an assembly to the whole school advertising the event. After that, every child voted for the film that they wanted to watch. Finally, after counting the votes, The Minion Movie was to be the most popular. Each child bought a raffle ticket which would be entered into a draw. Popcorn, chocolate and drinks were sold by the children which also added to their profit. The final profit was … £190.39. Well done Class 6 and thank you everyone for supporting them.The money raised will be used to support their trip to the National Space Centre. Look where they are going. After asking for some extra toys for playtime, we have been allowed a budget so we can buy some. All children have been asked to write in their class book, what they would suggest. Having collected the suggestions from all children, the School Council are busy discussing what we can buy with our budget of £100. It won’t be long now! After looking at the requests the School Council calculated the best way to spend the money, ordered the items and shared them between the Playgrounds. It was suggested that news is told in Golden Assembly. Every child at Weobley has the opportunity to make a suggestion and it is discussed at the meeting. One request was to have a talent show which took place on Friday 13th March 2016. Every child was invited to take part and all parents were invited to watch. If you would like to make a suggestion, or send a message, to the school council, please complete the form below. If you would like them to speak to you, please make sure that you include your name and class.